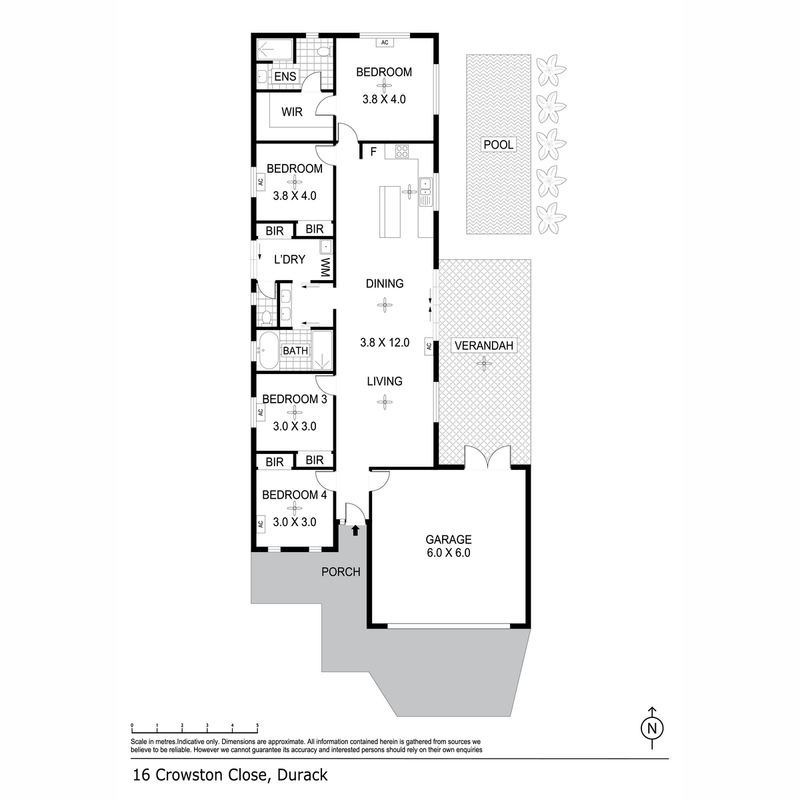 Text ’16CRO’ to 0488 810 057 for all property information. 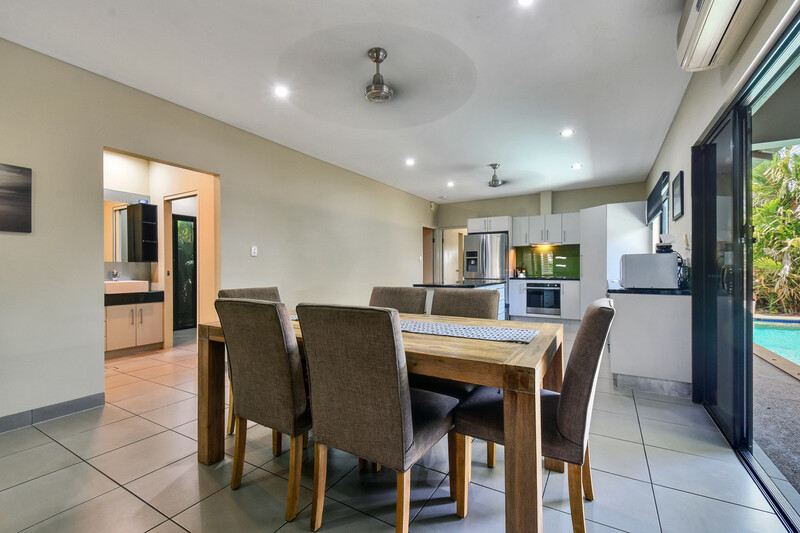 Hidden away in a private side court that not many people know about and nestled amongst a plethora of immaculately presented homes, in a high end area of one of Palmerston’s best master planned estates sits this gorgeously appointed executive family home. 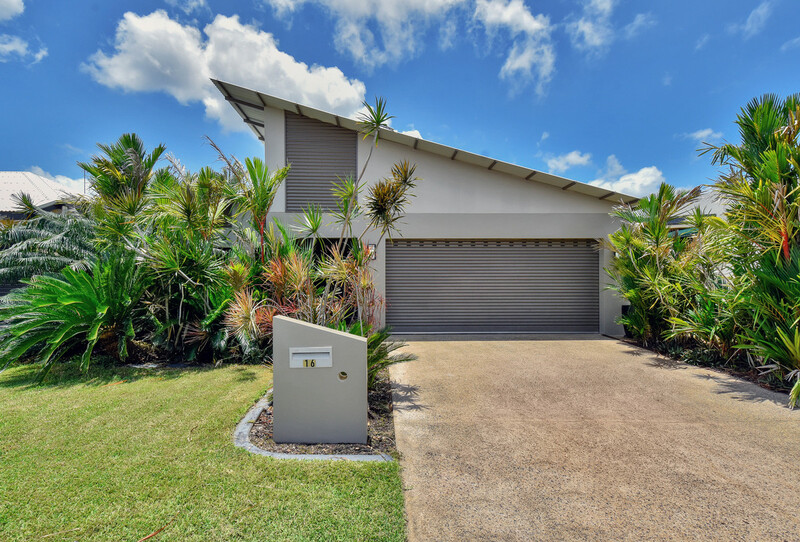 Welcome to Durack! 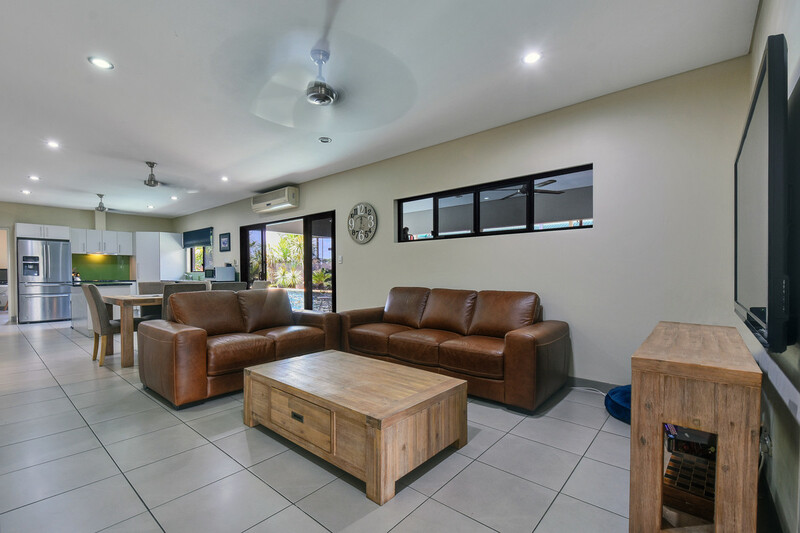 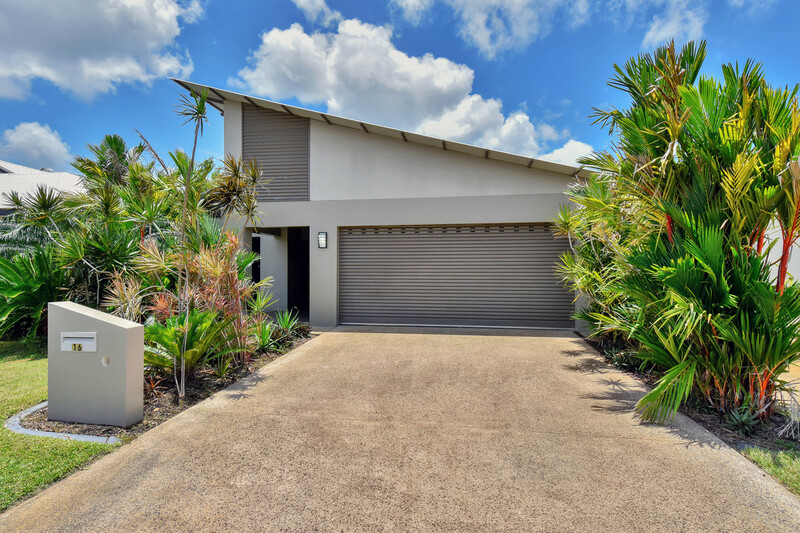 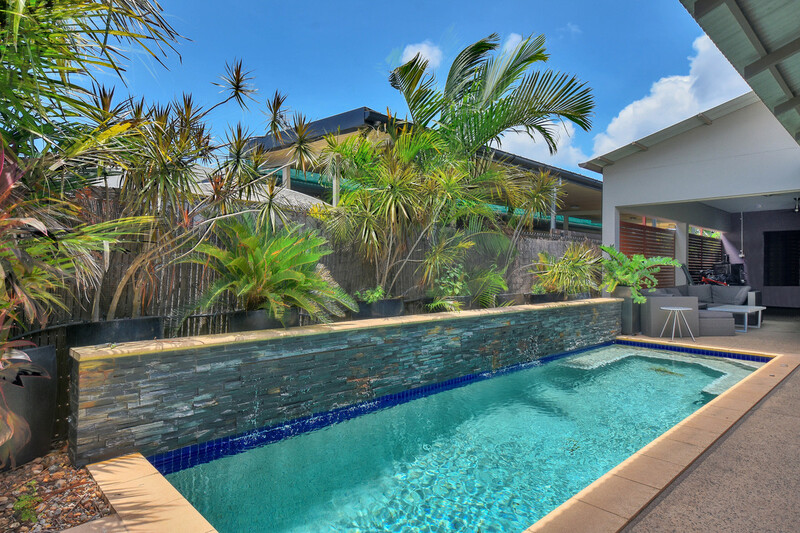 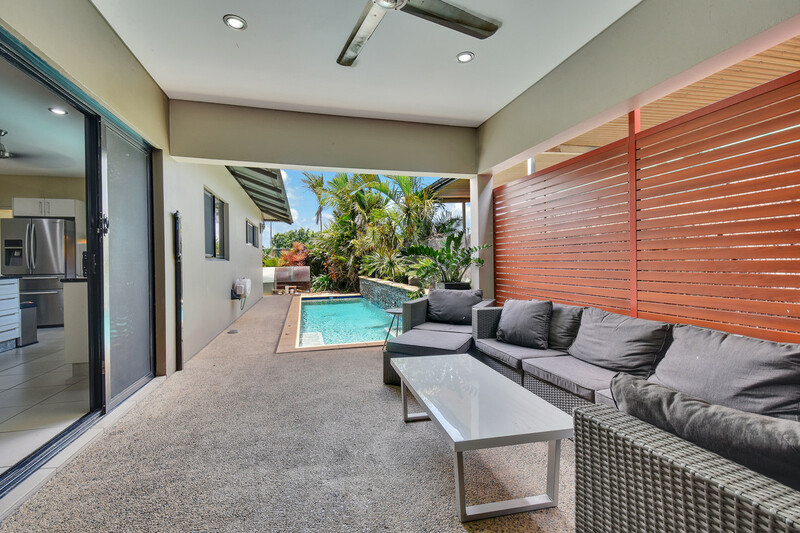 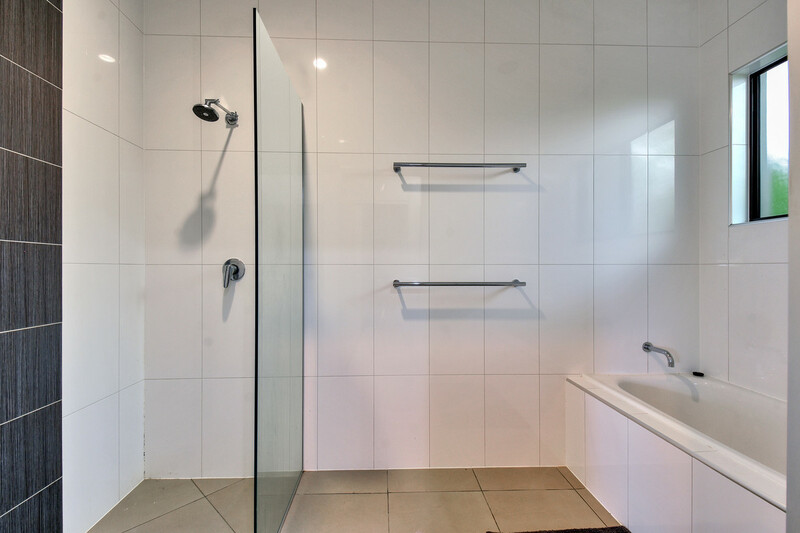 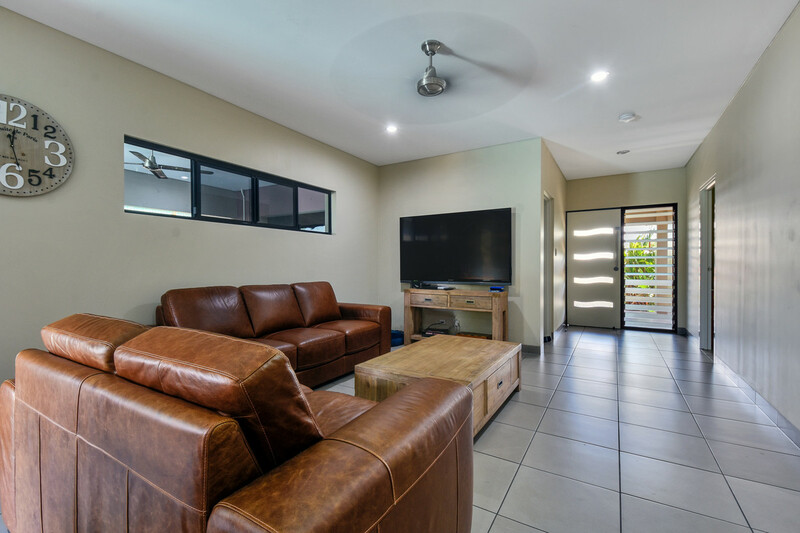 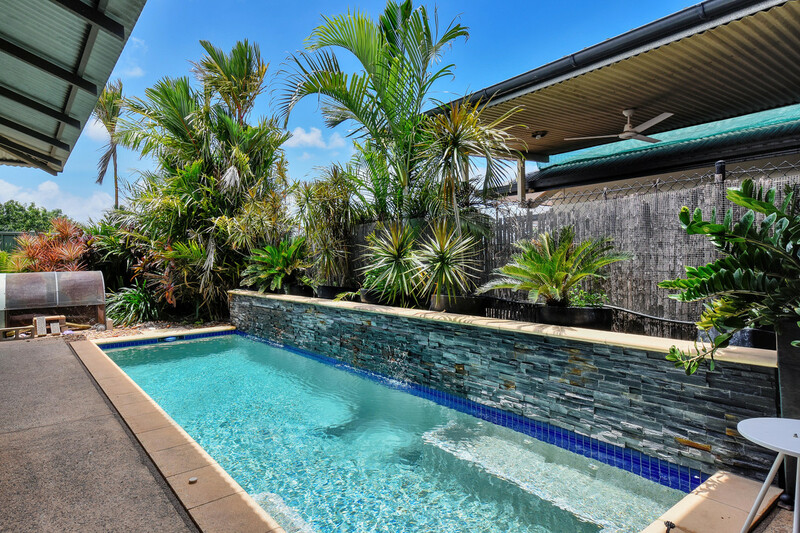 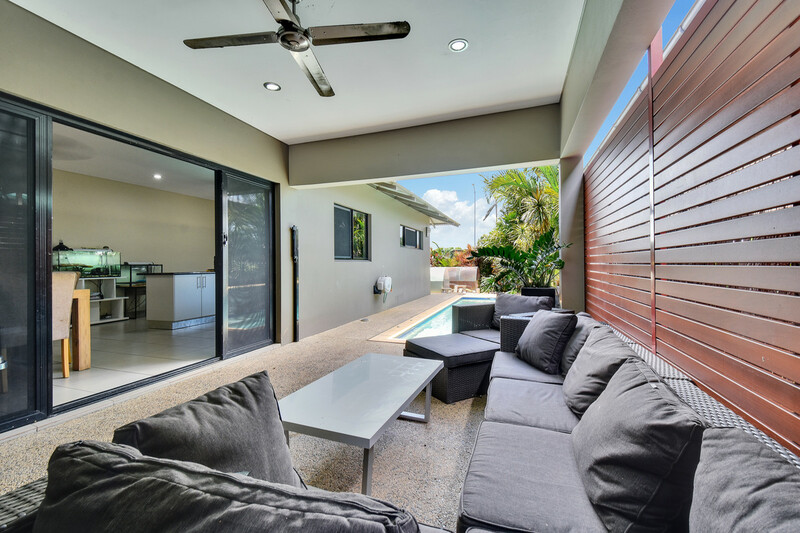 The home is positioned centrally in the street and is only a short walk to a nearby grassy play ground for the kids to explore and the home has golf buggy access through to the nearby Durack Golf Course. 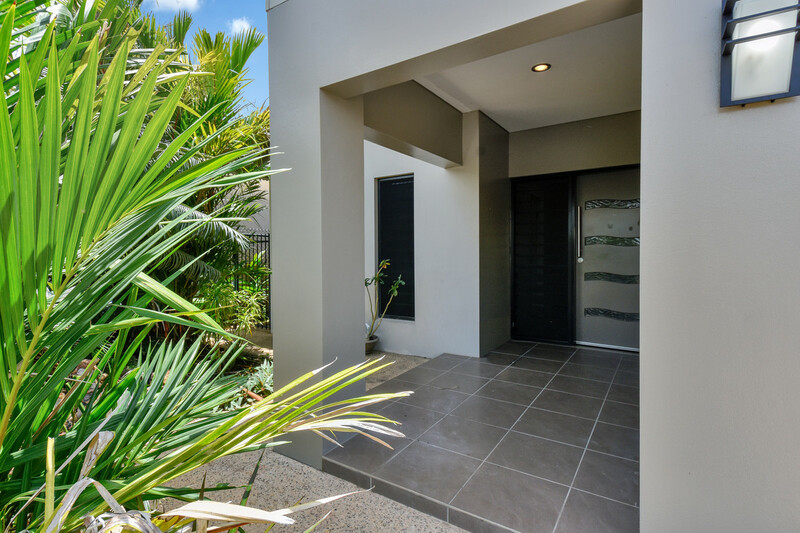 Presented to reflect the elite home that this is, the gardens are flourishing and screen the home affording privacy throughout. 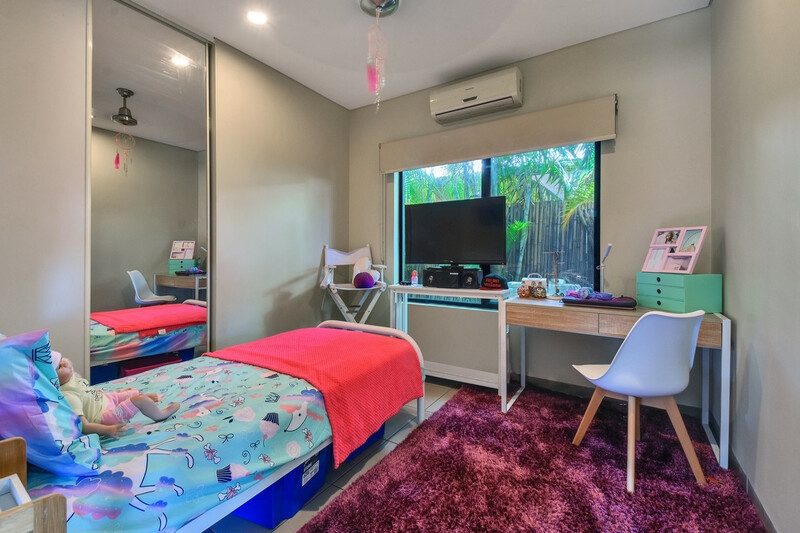 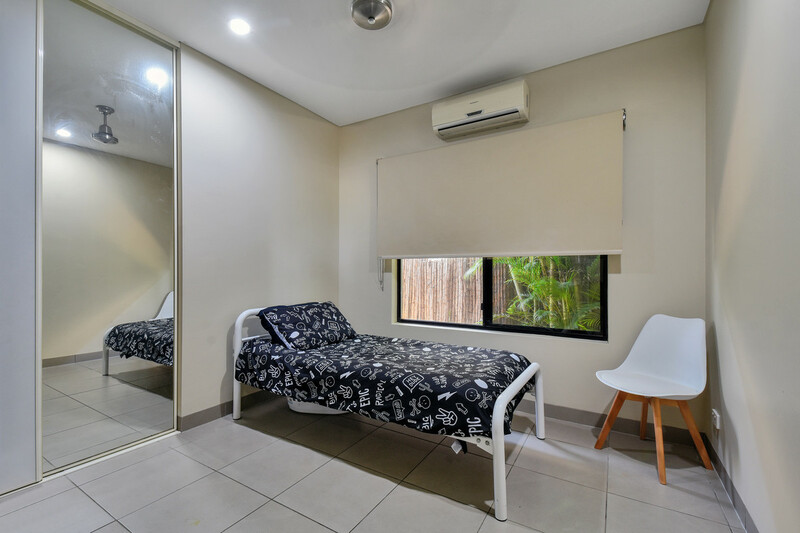 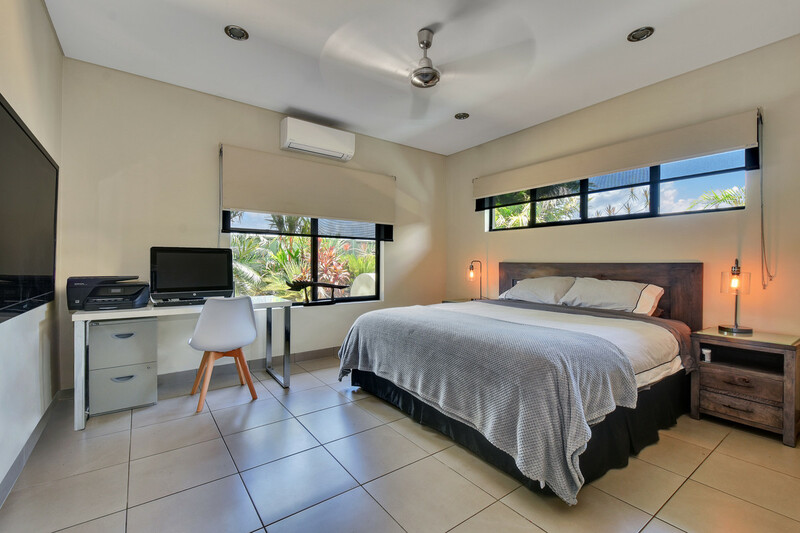 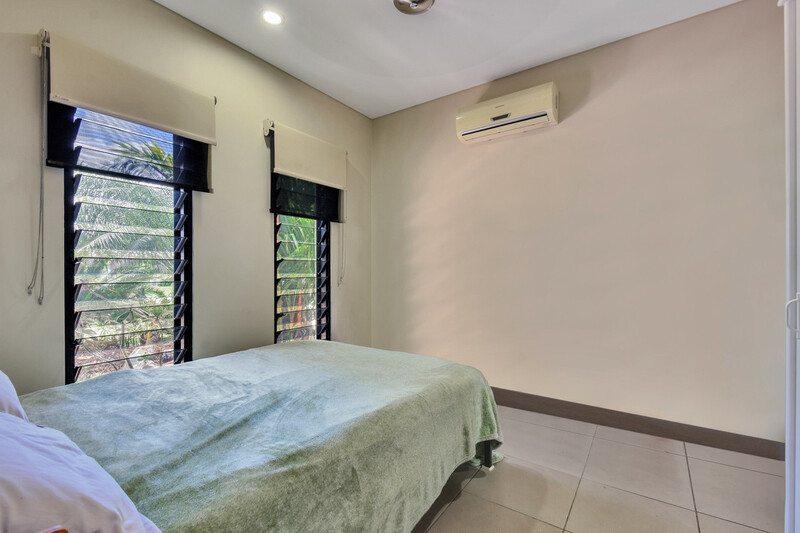 Inside is a front facing bedroom – the first of 3 just like it that each include built in robes, tiled flooring, freshly painted walls and split A/C. 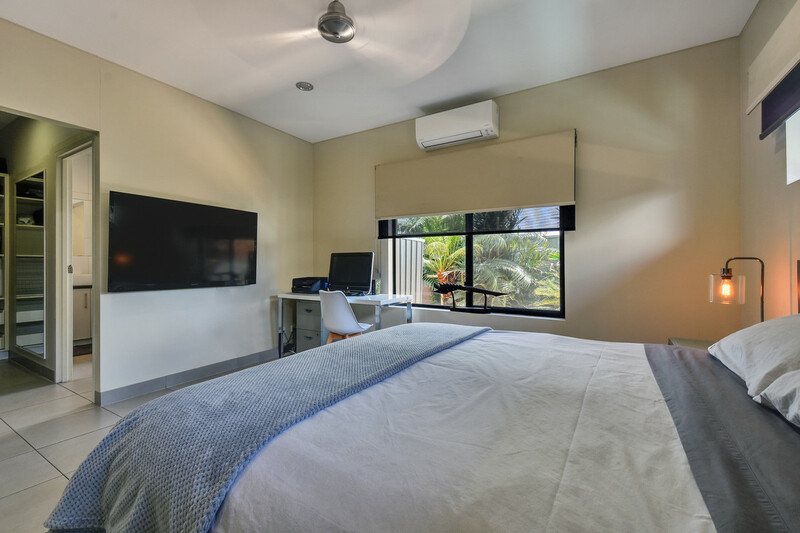 At the far end of the home is the master bedroom which is complimented with an ensuite bathroom and walk in robe. 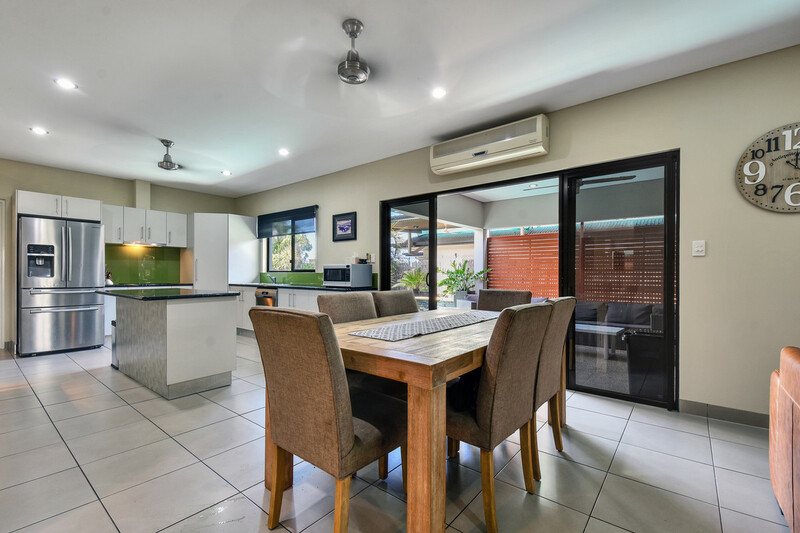 Centrally there is an open plan living, dining and kitchen area with large double opening sliding doors that lead through to the gorgeous outdoor entertaining area and showcase the grand in ground swimming pool with it’s rockery feature wall and screen of tropical gardens spilling over the top. 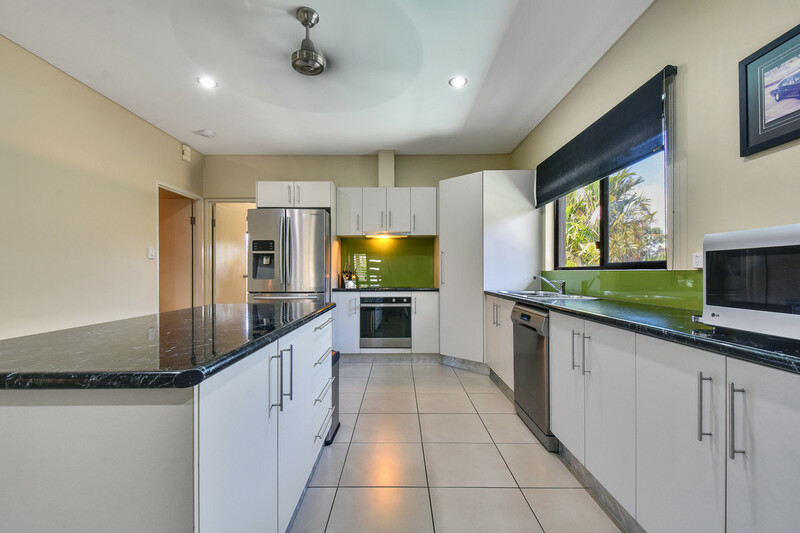 The kitchen includes an island prep bench along with plenty of overhead storage and a corner pantry as well. 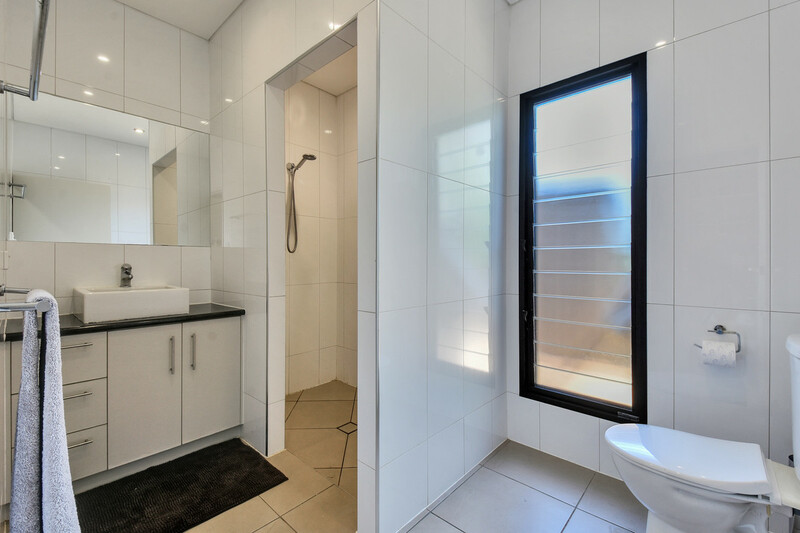 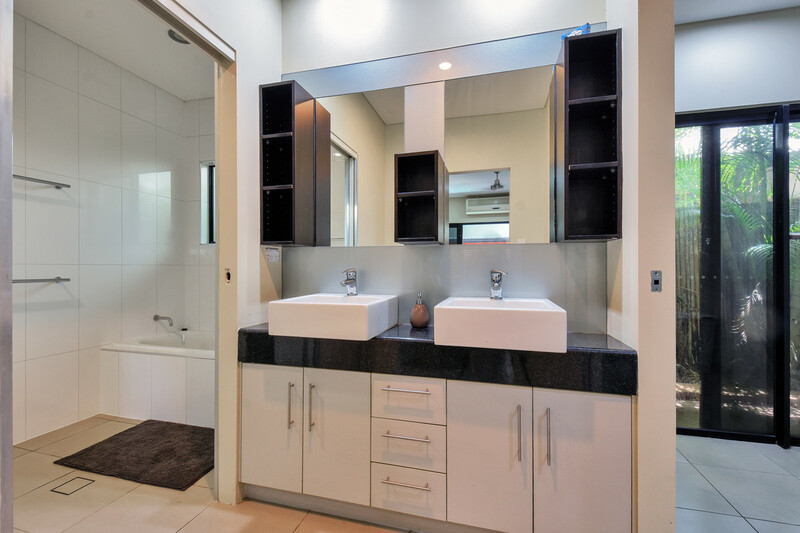 In keeping with the executive vibes, there is an open dual vanity with a separate bathroom that hosts the bath and shower, an internal laundry room and separate W/C as well all finished in modern tones with quality appliances throughout. 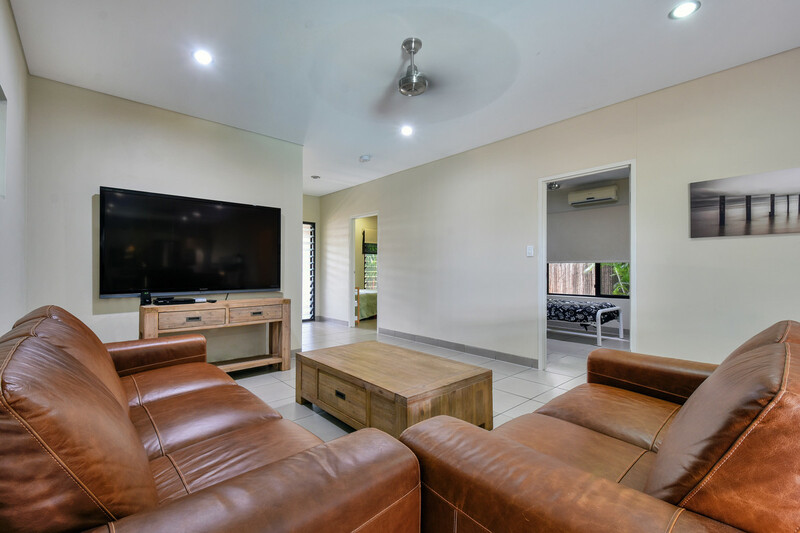 Drop dead gorgeous and perfect for the executive couple or family, the street is quiet and well secluded from the main thoroughfare yet has easy access through to the nearby Golf Club, Palmerston CBD and Gateway shops only minutes away and is in the catchment area for the popular Durack Primary School and Daycare.